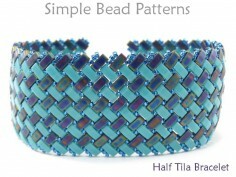 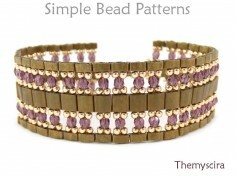 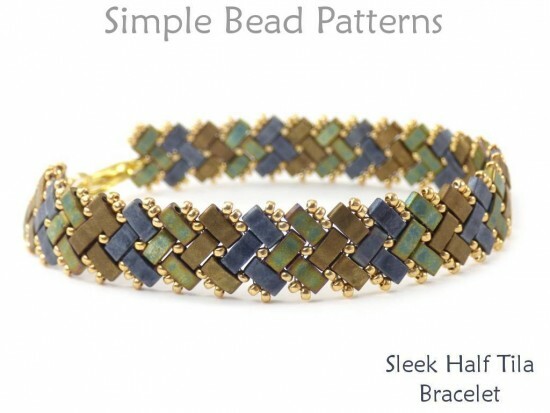 This three bead wide half Tila bracelet, measuring just over 0.5” (12.7 cm) across, is made with a modified herringbone stitch that results in a visually intriguing basket weave design. 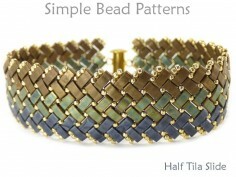 Sleek and sophisticated, this half Tila bracelet can be made with three alternating colors (like our color samples), or with more or less bands of alternating colors. You can even try the design with just one color for a super sleek and sophisticated look that’s sure to get attention. 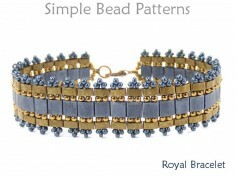 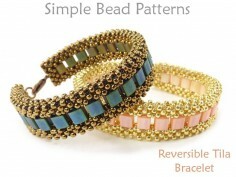 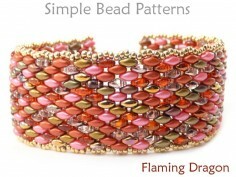 This simple beading pattern includes a detailed materials page, color information, over 65 high-resolution full-color photos and easy to follow step-by-step directions. 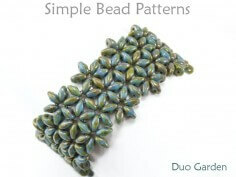 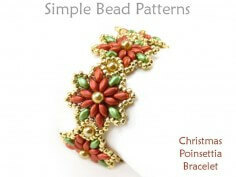 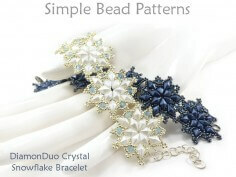 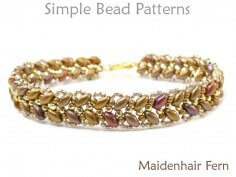 This tutorial is very detailed and suitable for beaders of all skill levels - even beginners. 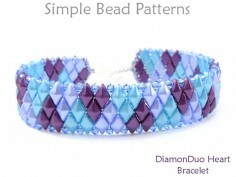 Give this fast and fun to stitch up design a try, we think you’re really going to love it. 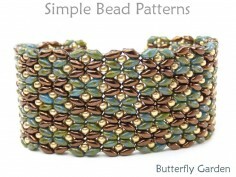 I haven’t taken mine off since I finished it! 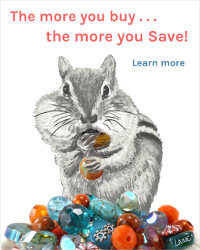 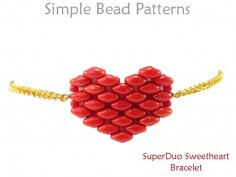 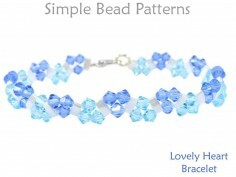 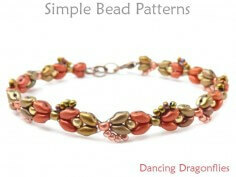 Thanks for your interest and, as always, bead happy!